Cover clothing with a cloth or towel before application. 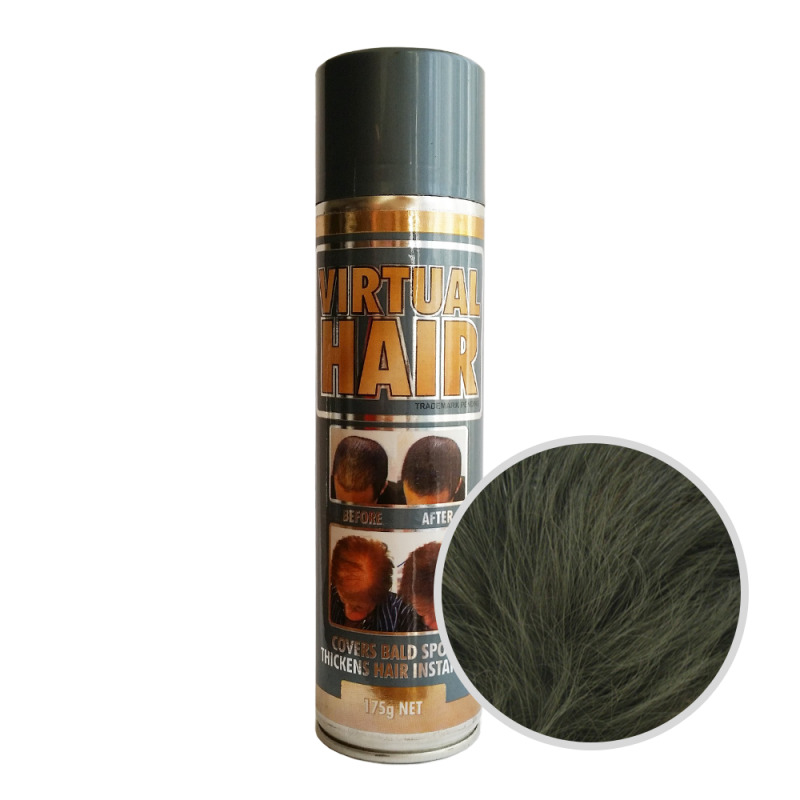 Brush or comb hair before applying VIRTUAL HAIR. 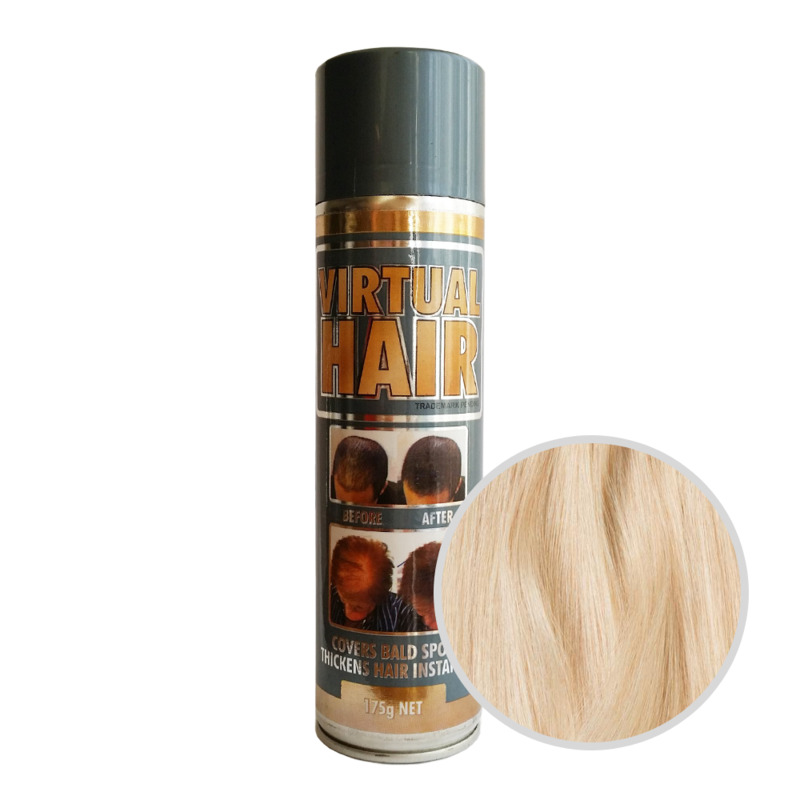 Spray onto scalp and thinning areas at about 10cm. Spread hair apart if necessary and spray base of hair and scalp. 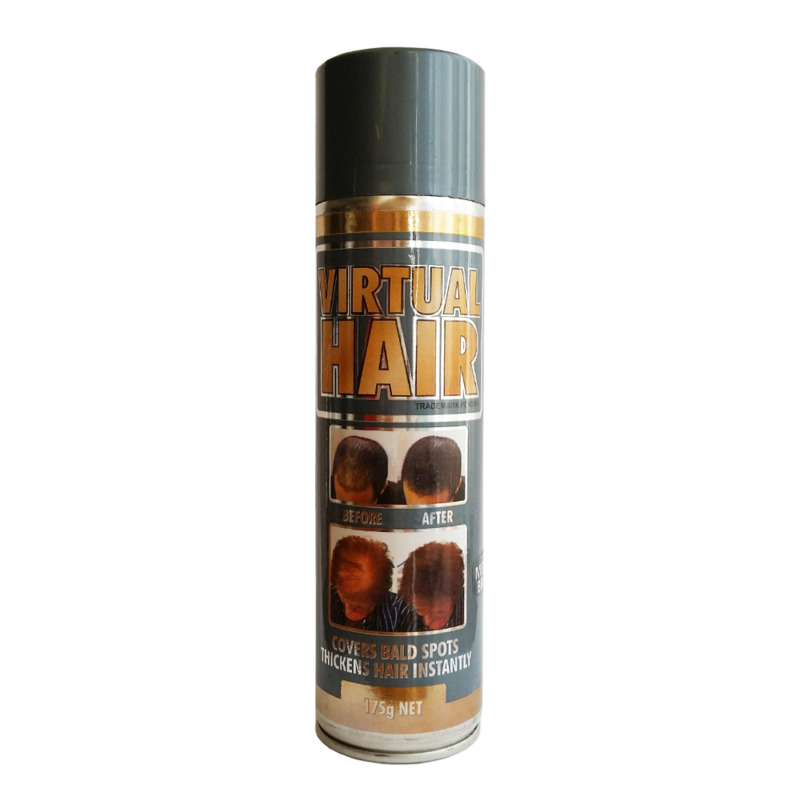 Seal VIRTUAL HAIR with a final spray of any normal hair spray if desired. Let hair dry completely before combing or brushing. Lean head to one side and groom with wide-toothed comb or brush. 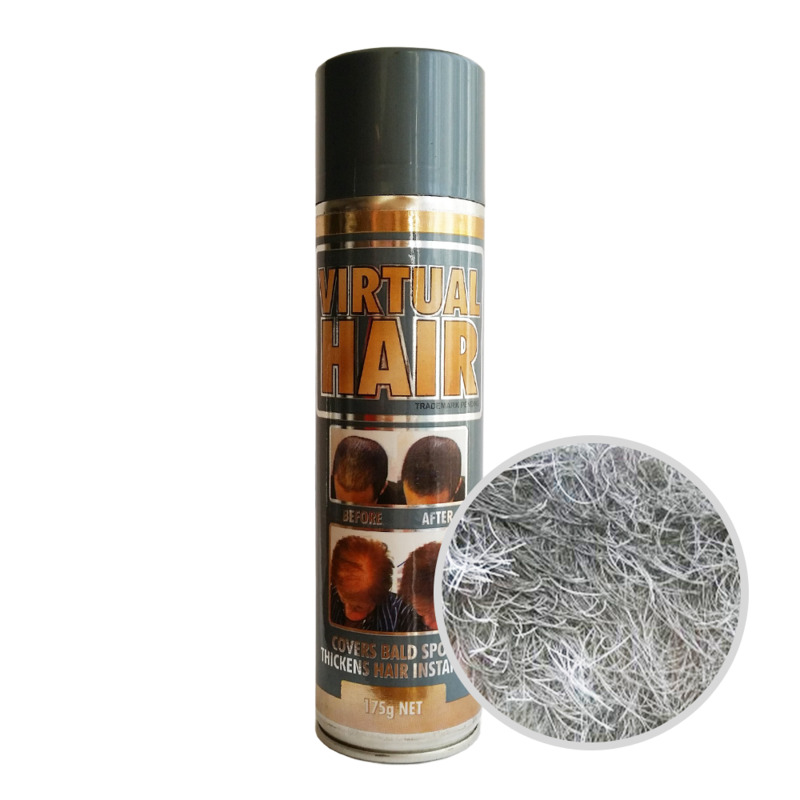 Simply shampoo hair for removal of VIRTUAL HAIR. Small to medium bald spots. 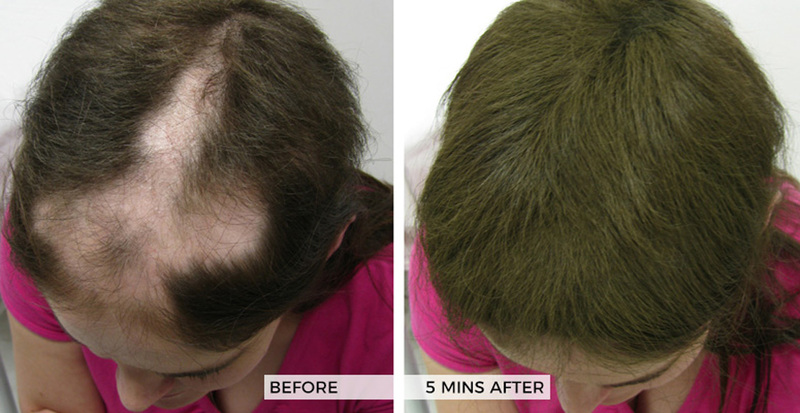 Hair transplants (consult your physician before use). 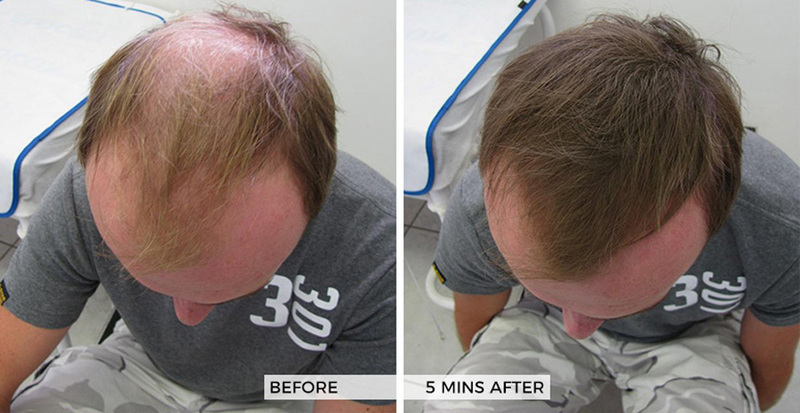 To make hair look thicker instantly. Contents: Butane, Propane, SD Alcohol 40, Iron Oxides, Talc, Fumed Silica.